The Bend lifestyle has it all–stunning Cascade peaks, meandering rivers and clear, blue lakes. A thriving arts and culture scene, world-class dining, even a brewery or 20. It’s no wonder we’ve found ourselves at the top of lists on everything from Outside Magazine to Forbes. But to live in Bend is also to live in a community susceptible to wildfire. It’s an inevitable part of our eco-system and a healthy and natural way for forests to regenerate. It can’t be 100% prevented, and integrating prescribed burns in strategic areas is a tool in mitigating fire fuels and wildfire spread. We can collectively be smart about protecting ourselves and our community to reduce the potential effects of wildfire. Local, state and regional policy makers need to drive the tactical measures that would help protect communities from fire. Unfortunately, the policy hasn’t kept up with the increasing number of devastating wildfires that have swept through areas of the Pacific Northwest, California and other locales around the country. As a real estate developer striving to design and build healthy communities in areas susceptible to wildfire danger, we’ve made the conscious decision to step up and take a more aggressive approach to wildfire safety. In recent years, we’ve worked with local, regional and national wildfire experts to become more educated about the ways in which people can build more fire resilient homes and communities. When we began planning The Tree Farm in 2013 , we knew we had take measures to make the community, and its residents, as safe as possible. Located in the Wildland Urban Interface (WUI), The Tree Farm had experienced wildfire decades before. The devastating 1990 Awbrey Hall fire traveled through the property when it was privately owned by the Miller family. Responsible stewards of the land, the Millers actively managed fire fuel so that if another fire were to come through, it would not be as devastating. An even greater sense of responsibility was shared by the development team, knowing families would eventually be moving into the neighborhood. 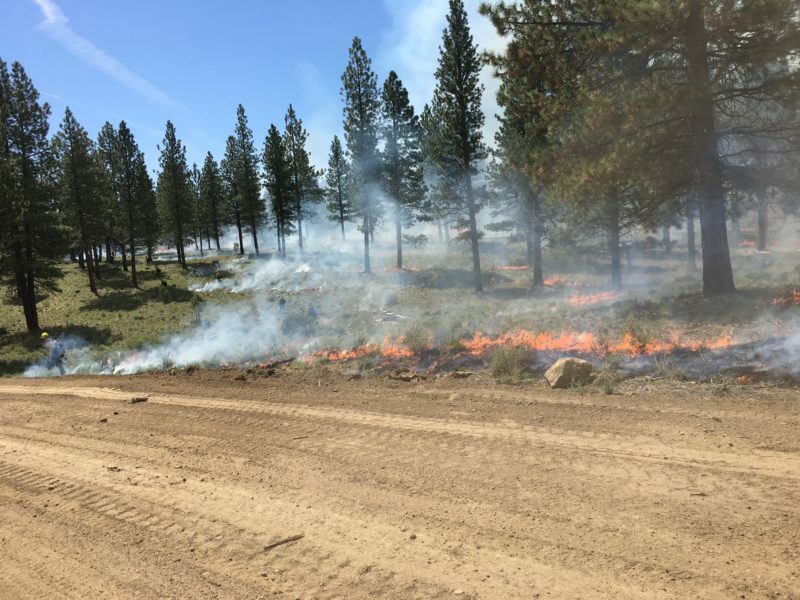 Before sales even began, we worked with local fire management authorities to conduct a prescribed burn through about 20% of the existing open space in The Tree Farm. It was a great private/public partnership that further reduced fire fuels, making the area more fire-resilient. But we didn’t end there. Our governing documents and design guidelines require owners to construct their homes and incorporate landscaping principles that will make them more resilient to fire. In fact, to our knowledge, The Tree Farm was built from the ground up with more voluntary National Fire Protection Association (NFPA) standards than any other community in Central Oregon. And future county development will be held to the higher standard we have adopted. Once residents start living there, The Tree Farm will officially become a Firewise-recognized community. We’ve taken lengths to make our North Rim neighborhood a Firewise community as well. And many of the principles and strategies we’ve learned from both neighborhoods, will also be applied in our new community, Discovery West. 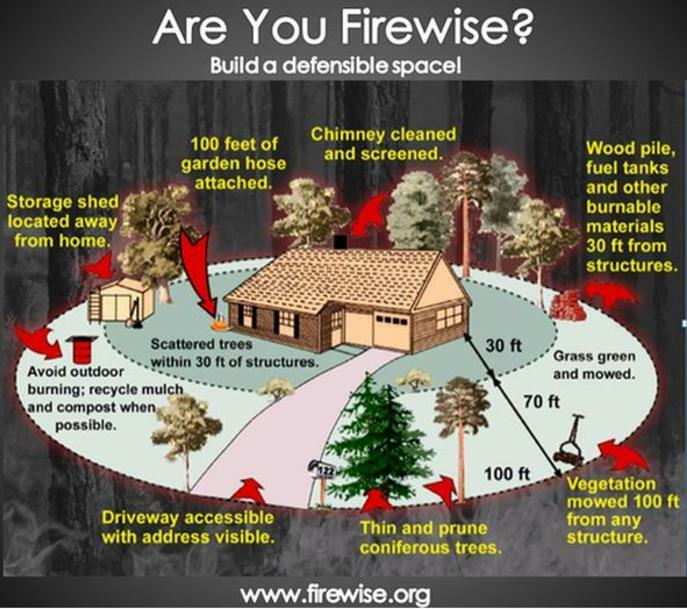 We encourage all homeowners to think about the steps they can take to help mitigate fire fuels around their own home. No matter where we live in town, fire is a constant natural peril Central Oregon residents must cope with. The destruction and lost lives we saw most recently during the fires in California remind us that it is a responsibility that we must all take part in. Fortunately, there is a lot of positive momentum in our area. 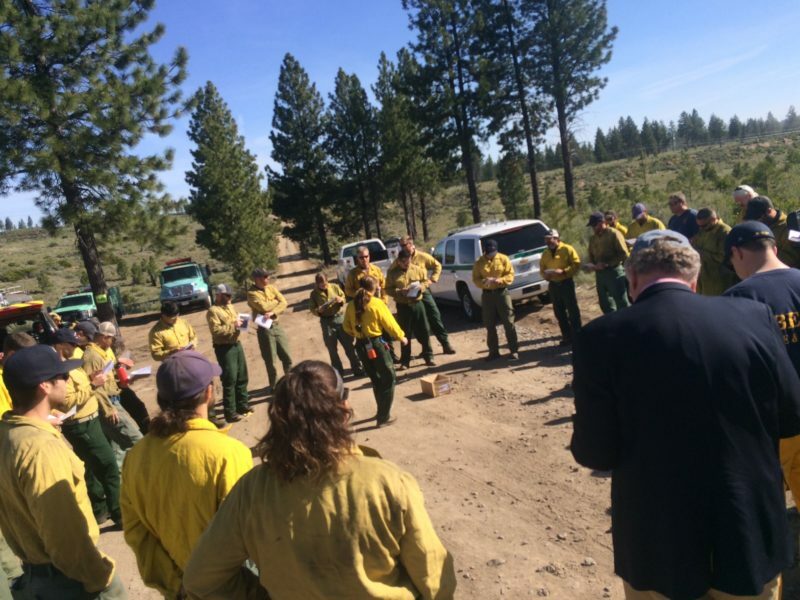 Teams like the Deschutes Collaborative Forest Project, the Cohesive Strategy of Central Oregon and Project Wildfire are working tirelessly to bring awareness and on-the-ground strategies to help educate and keep Central Oregon safe from destructive wildfire. The City of Bend is also adopting strategies around development patterns, vegetation management and construction techniques that they will require for future development in susceptible areas. “All hands, all lands” is a saying in the fire community that demonstrates that fire knows no property boundaries and it takes the cooperation and collaboration of many organizations coming together to protect and fight against the spread of wildfire. At Brooks Resources, we take that responsibility very seriously. Romy has been with Brooks Resources for over 25 years. After graduating from the University of Oregon, School of Journalism, she started her career with the company as the administrative assistant to the general manager at Mount Bachelor Village. In 1996 she began working as the marketing coordinator at the corporate office, then was promoted to Director of Marketing shortly thereafter. 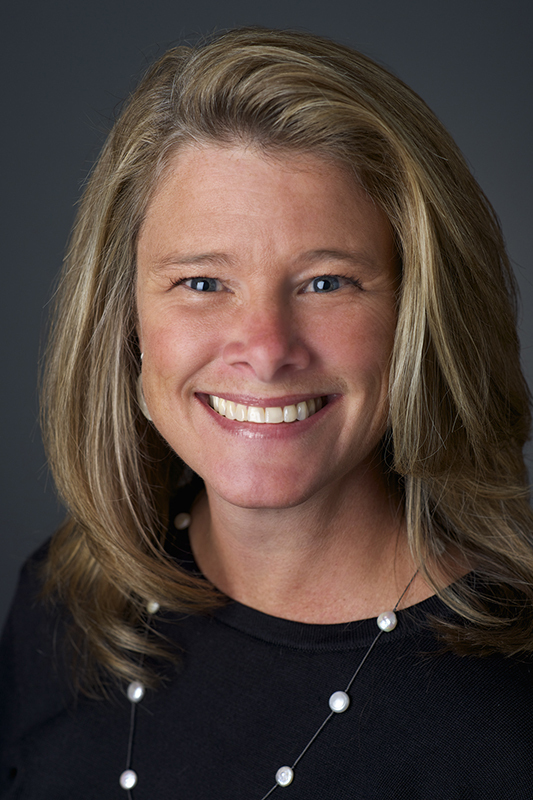 She now serves as the Vice President of Sales and Marketing, overseeing all aspects of sales and marketing for each Brooks Resources project. In 2004 she was named project manager for North Rim and in 2013 became project manager for The Tree Farm. Romy is a licensed real estate broker in the state of Oregon. Having a passion for civic engagement, Romy serves on the boards of Oregon Public Broadcasting, Art in Public Places and West Bend Property Company. She is a member of the Oregon Community Foundation Leadership Council of Central Oregon, and serves on the Advisory Board for The Bloom Project, of which she was a founding board member. An Oregonian, avid outdoors enthusiast and animal lover, Romy and her husband are parents to two pitbulls and take full advantage of the recreation Central Oregon has to offer. Romy is a Leadership Bend alumna, Class of 2000.